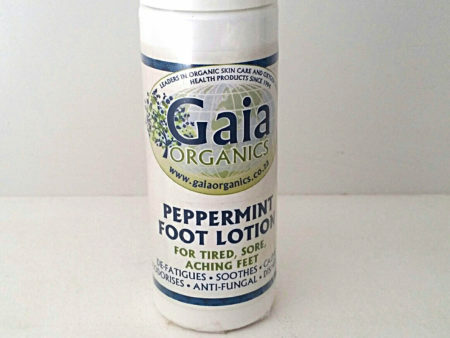 Eases fatigue from excessive motion or standing and softens callouses, corns, corrects and prevents cracked heels. Shake well. Apply a light or heavy film firmly massaging into the feet either before activity, as a prophylactic, or later, once fatigued. Especially effective if used after a warm or hot foot bath. A specially formulated low oxidation-potential aqueous cream base, Green Tea, Comfrey Allantoin, Kelp [iodine], Centella & Camphor extracts. Essential oils of Peppermint, Tea Tree, Lemon, Thyme & German Chamomile.